The Biafra restoration movement has been growing from one strength to the other. While millions all over the globe quite understand where Mazi Nnamdi Kanu is leading his people to, others have come out from their skepticism to tenaciously subscribe to the project after taking the time to study and listen to the messages of the Leader of the Indigenous People of Biafra, Mazi Nnamdi Kanu. Unlike most historical accounts of modern history, the 21st century Biafran Restoration project stands out to reconstruct what we use to know to be the pathway to freedom fighting. Freedom fighting as conceptualized in various institutions of learning often trends on the part of the leader of the freedom fighting group going on exile and eventually delving into "guerrilla warfare”. Nation states understand this status quo too well and need no one to teach them on how to deflate those who adopt these popular part. In the case of Mazi Nnamdi Kanu, the reverse is the case. Most people did not understand him when he was saying “I am not a career freedom fighter”. Many wondered what he meant by this. Others attributed it to the madness of the century. Today, every bit of his words are becoming clearer that even the blind could read it. Intellectually speaking, the concept of freedom pathway which Mazi Nnamdi Kanu has laid down today poses a big threat to the traditional approach. Many will take his methods to be too risky as it exposes the freedom fighter to his direct enemy which is the state, making his survival chances very slim. This is the earlier stage of unveiling himself and the project to millions of Biafrans and lovers of freedom all over the world. It was indeed a difficult time of the struggle as many who heard of Mazi Nnamdi Kanu doubted the reality and sincerity of his person and the project. Among the Igbo Biafrans, he was seen as another Raphael Uwazurike who is out to seek popularity and extort money from desperate Biafrans who are sick and tired of marginalization by the Nigerian state. To the non-Igbo Biafrans, it was difficult to believe he could present Biafra well to them. Britain and Nigeria viewed him as unserious to waste state resources on. As years progressed, his personality and what he represents was truly unveiled for all to see. To Igbo Biafrans, he was seen and taken as a true son who has the boldness to question the conquistadors. To the non-Igbo Biafrans, his voice and the messages were revealing and a reawakening of their identities to them. He completely destroyed the divide and rule antics of the British-Nigeria slave masters. Today we know we are one people. Britain and Nigeria took his message threatful to overlook. His persistence in unveiling the truth led to millions of Biafrans subscribing to the restoration project. Many viewed him as the "messiah" sent to salvage and deliver the Biafran people. 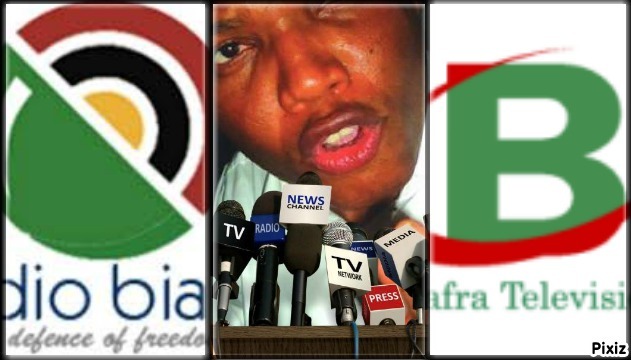 While many were giving their hearts and ears to Mazi Nnamdi Kanu’s voice on Radio Biafra London, many were afraid of the future of the radio. Their fears were relieved when it dawned on them that despite the efforts of Britain and Nigeria to frustrate and jam Radio Biafra London, it is still on-air and blaring louder each day. The announcement by Federal Government of Nigeria to crush, jam and neutralize RBL, the futility and the wastages that followed their folly voyage built more confidence on the technicality of Nnamdi Kanu and his quest. When it dawned on the Nigerian Government that the Radio Biafra and Biafran Television was doggedly strong, they resolved to carry on a campaign of calumny against Mazi Nnamdi Kanu. They enlisted the services of many professional propagandists, bloggers, and fifth columnists to promote the lies that Mazi Nnamdi Kanu was a coward who is fighting from exile. This approach to the best of my knowledge was adopted by the presidency with no study of the personality of Mazi Nnamdi Kanu, or there was a misinterpretation of his personality by the mentally lazy and tribalized Nigerian secret service. While these sponsored lies and propaganda were ongoing, Nnamdi Kanu travels to and fro Biafra land through Murtala Muhammed International Airport terminal Lagos. 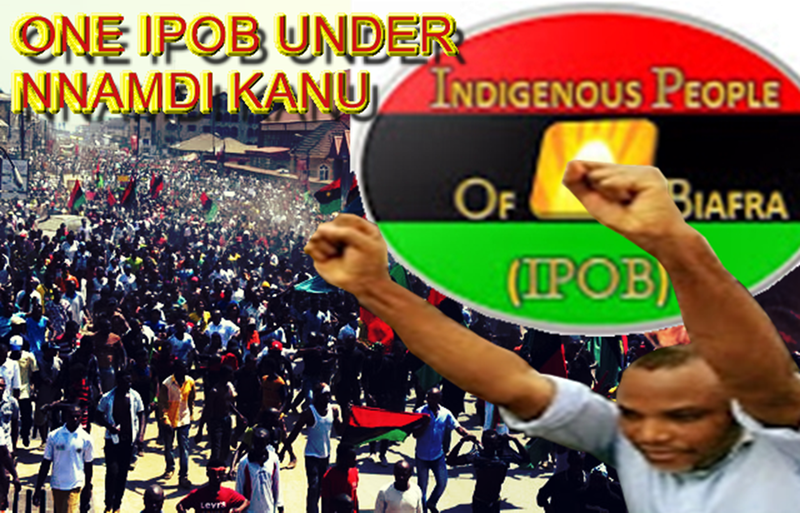 The early announcement by Mazi Nnamdi Kanu of his coming to Nigeria and his arrest was indeed a doubt to many. Many thought its unwise and unachievable considering the fact that a dictator is on the seat of power. It was at the peak of this argument that Mazi Nnamdi Kanu arrived Nigeria and made publicly his arrival. Many wondered how fearless he was to have taken such high risk under the watch of dictator Buhari. His arrest and detention got him more supporters and many saw the reason why they should give out their lives for Biafra. Social analysts and commentators have argued that the arrest of Nnamdi Kanu by Buhari’s regime was the worst decision the regime ever took. Within the periods of his arrest and incarceration, Nigeria rating internationally and locally was reduced to zero level. The expired contraption was bayonetted. Many terrible things happened in Nigeria that all human formulae were unable to ascertain and resolve, especially in Northern Nigeria. There was a great famine in the North [the purported food basket of the nation], hunger and plagues. And at the national level, the economy collapsed and still yet to recover till date. The Pharaoh of Nigeria's plea that "over his dead body will he release Nnamdi Kanu" was granted as he prayed. Today he is a living dead man planning to relinquish his hard earned presidency. I wish Obama could come to his rescue now. Nnamdi Kanu knows that the secret of defeating your enemies is being “fearless” before them, and he thought that to Biafrans. His arrest and confinement brought him closer to the high echelon of the society who never had time to listen to his voice and message on Radio Biafra. Within this period, he was able to let it sink in their heads that he and Biafrans are out for Biafran restoration. His rigid position led to many Nigerian politicians of Biafra extraction to re-adjust from their illusions. Those who earlier called him cowards wished they could meet him to apologize. Mazi Nnamdi Kanu earlier before now said that he will “destroy Nigeria (the zoo) with the truth”, and many thought he was kidding. Today, the inability of the Nigerian government to prove to the world what they accused Nnamdi Kanu of has made Nigeria a laughing stock in the comity of nations. Even her judiciary is in great pity and shame as peoples’ trust has eluded her. Nigeria is deflated and gone forever. The fraud-state created by Britain is dead and buried! e stones on the streets are forced to decry...a proof that we are not the same people. Pronouncing such stringent bail condition to same people they want to be with is sheer madness and height of hypocrisy! Justice Binta Nyako really could not allow legal profession overshadow her Fulani spirit. She killed the law and resurrected sentiment on the bench. What a shame! The entire world has seen how disgusting Nigerian state is. 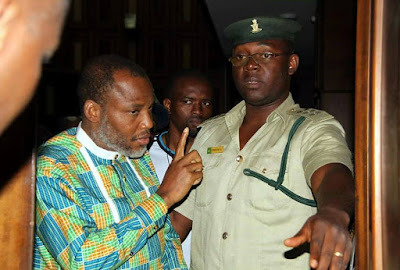 Few reasonable Nigerian judges in their attempt to salvage the Nigerian judiciary from the DSS' mess, granted Nnamdi Kanu bail and unconditional release, but the bad eggs among them like Justice John Toso and Binta Nyako had to buy into the dying president's wish to bastardize the judiciary, thus could not allow justice prevail. The strong position of Mazi Nnamdi Kanu on Biafra restoration led to the imposition of the “iron-bail” conditions on him. How could a court who granted bail condition on the ground of “health”, still placed stringent conditions on it. They are aware that the world is running out of patience watching their messy judicial process and illegal incarceration of Nnamdi Kanu, so they shamelessly resorted to granting him bail on “health condition” yet attaches stringent terms to it. Today, Nnamdi Kanu is free against their wishes. Less than a week after his release, he has been resolving cardinal issues and positioning the struggle to a better front. On 1st May, he was able to intervene in IPOB Imo, Biafraland and resolved the challenges there once and for all. He also met with some senators and those who stood on the part of justice and made them understand his zero compromise towards the restoration of a Biafran state. Nigeria is in great panic at the moment as Nnamdi Kanu’s release has midwived the cementing and resolving of sensitive issues and agreements. The comatose and collapsing state is in dire panic. The president is nowhere to be found and his former prisoner is busy leading his people to the promised land. It is childish for anyone to weakly think that Mazi Nnamdi Kanu will give up the struggle. All the rumours from the presidency that Nnamdi Kanu is considering giving up the “divine call” are lies from the pit of hell. 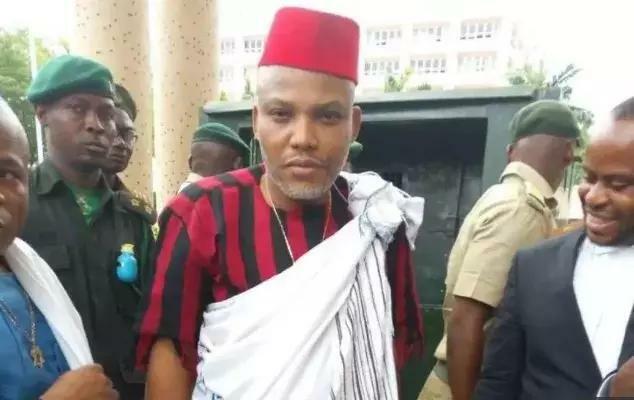 If Nnamdi Kanu is giving up to the struggle, why not decommission the "no press" condition on him and allow him to address his people on his plan to give up? Why not lift up the “no group gathering” condition on him? Why not surrender his travel documents to him and allow him to address that on Radio Biafra London. Why chasing Ike Ekweremmadu for mobilizing those senators who helped meet his bail condition? FG’s weak propaganda could easily be sold to gullible Nigerians as that has been their way in “hale and hearty” narrations of their dying president. They should just wait as there are many shocks coming from IPOB courtesy Nnamdi Kanu’s leadership. They should spare themselves the time and resources to wait for these shocking events coming. While the contraption and Buhari's handlers are busy panting and ranting, we will make them to panic more. Our collective confidence on Mazi Nnamdi Kanu over his resolve towards Biafran restoration stands taller now. He is a man we believe in and have trust in his leadership.